Course Exams are Proctored Electronically. Computer Video Camera with Audio Required. PREREQUISITE: Accounting 1 or Accounting 22 DESCRIPTION: Managerial accounting, manufacturing costs, variable and fixed costs, job order cost, process cost, standard cost, budgeting, product pricing, capital statement analysis, performance evaluation using variances from standard cost and differential analysis, standard actual variance analysis, supply and inventory management, comparison of financial and managerial accounting, strategic vs. differential analyses, relevant cost, preferential costs, and decision making. DESCRIPTION: This is a course on preparation of Federal and California individual tax returns with emphasis on basic concepts, current tax law requirements, and recent changes. PREREQUISITE: Completion of one semester of Accounting Principles (or equivalent), through and including material on payroll accounting, with a grade of ‘C’ or better. DESCRIPTION: Using the computer, this introduction to accounting will provide information and practice in the basic machine operations, plus instruction in the following areas: general ledger, depreciation, accounts receivable, accounts payable, and payroll. Real-world applications will be stressed throughout the course. QuickBooks Pro will be taught. DESCRIPTION: Philosophy, history, and theories of the criminal justice system, including the roles and functions of the local, state, and federal jurisdictions. The roles, functions and interrelationships among criminal justice agencies; law enforcement, courts, and corrections; crime causation, correctional theory, analysis and the social impact of crime. DESCRIPTION: Introduction to the historical development, philosophy, and basic legal concepts of criminal law. The course includes an examination of constitutional provisions, legal research, legal analysis, and the functioning of criminal law as a social force. DESCRIPTION: Origin, development, philosophy, and constitutional basis of evidence, constitutional procedural considerations affecting arrest, search and seizure; kinds of and degrees of evidence and rules governing admissibility; judicial decisions interpreting individual rights and case studies. DESCRIPTION: This course provides an in-depth study of the justice system from an incident investigated by police to final disposition and settlement in court. Special emphasis will be placed on the court system and will include: history, concepts and services related to judicial organization, court functions, prosecutorial functions, management and administration of the courts, and a comparison of the federal and state systems. DESCRIPTION: This course is a study of the organization, function and jurisdiction of juvenile agencies; the processing and detention of juveniles; juvenile case disposition; juvenile statutes and court procedures. DESCRIPTION: This course offers an in-depth exploration of the roles of Administration of Justice practitioners and their agencies. Through interaction and study, students become aware of the interrelationships and role expectations among the various agencies and the public. Primary emphasis is placed upon the professional image of the Justice Administration system, and the development of positive relationships between members of the system and the public. DESCRIPTION: This basic course deals with the nature of correctional work; aims and objectives of Correctional Administration; probation and practices; skills knowledge and attitudes required for employment in this field; types of institutions and services; and career opportunities. DESCRIPTION: This course provides an overview of the techniques in counseling and interviewing available to practitioners in corrections. Students will learn the use of appropriate techniques and theories in confidence building, which may be used by correctional employees in interviews and counseling. This is a basic course for students planning to enter, or already employed within the Correctional Science field. DESCRIPTION: This course will introduce students to the use of computers in a variety of health care settings. Students will use software systems used in pharmacies, medical offices, and hospitals. DESCRIPTION: This course provides an introduction to health inequities in the United States which stem from unequal living conditions. Students will explore how education, socioeconomic status, racism, and gender shape health epidemics and policy development. The basic skills necessary for advocating for health and social justice will be theoretically demonstrated. DESCRIPTION: This course will enable students to apply an anthropological perspective to appreciate the various ways of life found throughout the world. Students will examine the similarities and difference in traditions and institutions of various societies including our own. Cultural Anthropology is recommended for anyone living in a culturally diverse world. DESCRIPTION: This course will enable students to gain an understanding of the past by analyzing human material and cultural remains, including archaeological sites and artifacts. This course explores a wide variety of prehistoric human societies; discoveries from cultures as diverse as Dynastic Egypt and the Aztecs of Mexico are used to interpret the human past. DESCRIPTION: This course presents a cross-cultural comparison of gender roles as viewed from biological, cultural, psychological, prehistoric and historic perspectives as they relate to the status of women and men in tribe to modern Western societies. DESCRIPTION: Get your hands on physical anthropology! This lab class offers students a hands-on exploration of selected topics in physical anthropology including genetics, human variation, the living primates, and human paleontology. DESCRIPTION: This course will enable students to compare religious beliefs and practices from a broad range of cultures. From various parts of the world, religious expression such as magic, witchcraft, myth and ritual, shamanism, ancestor worship, beliefs in demons, ghosts, spirits, and other related social phenomena will be explored. DESCRIPTION: Survey of Art History from the Prehistoric through Gothic periods with attention given to the historical background and the analysis of art works of each period. NOTE: Art 101 is not a prerequisite for Art 102. DESCRIPTION: This course will train students in basic visual analysis in the context of the history of art. Students will be able to situate art works within the development of visual arts in Western Europe and North America from the Italian Renaissance to the present, and to understand the impact of various non-western traditions on the western visual arts. Note: Art 101 is not a prerequisite to Art 102. This course is a survey of Mesoamerican cultural beliefs, traditions, and practices from the prehistoric era to the present day. DESCRIPTION: A conceptual survey of the basic principles and science of astronomy. Topics include the history of astronomy, the solar system, the Sun, galaxies, cosmology, and life in the universe. DESCRIPTION: This course covers the essentials of the law of contracts: agency, employment, personal property, bailment, sales, and real property in their application to everyday problems pertaining to business and to the individual. Elementary safeguards regarding sales and sales contacts are covered. DESCRIPTION: This course offers an intensive review of the techniques and mechanics of English: grammar, capitalization, punctuation, sentence structure, business vocabulary, various business letter styles, proofreaders’ symbols and website reference tools as specifically applied to the field of business. DESCRIPTION: This course covers the principles and techniques of effective use of English as a communication tool by identifying the speaking, listening, and reading, writing and computer skills to send clear and concise messages. Practical experience is given in writing letters, memos, reports, application letters and job-winning resumes utilizing electronic communications and the Internet. DESCRIPTION: This course provides a comprehensive study of business mathematics and reviews basic mathematics such as decimals, fractions, and percentages. It also covers the topics of bank services, payroll, the mathematics of buying and selling, interest and loans, taxes, cash and trade discounts, depreciation and other business computations. This course is intended for students interested in pursuing careers in business. DESCRIPTION: This course covers law office procedures for the legal secretary, including discussion of different kinds of law practices; legal office staff and technology used in today’s law firm; development of legal vocabulary and legal correspondence; the history of law and of the court structure; codes and court rules; and preparation of civil lawsuit pleadings from initial filing to trial. PREREQUISITE: Ability to type 35 wpm. DESCRIPTION: This course teaches word processing skills, including inputting, editing, formatting and printing documents using Microsoft WORD. (Replaces CAOT 35 in Paralegal and CAOT programs). NOTE: This course is required for Legal Secretary Certificate. Students learn office spreadsheet applications using a PC and spreadsheet application software, such as Excel. Students are taught to create, edit, format, and print worksheets, construct graphs, and build databases that utilize the data table function. DESCRIPTION: This course examines the major developmental milestones for children, both typical and atypical, from conception through adolescence in the areas of physical, psychosocial, and cognitive. The course will emphasize interactions between maturational process and environmental factors. While studying developmental theory and investigating research methodologies, students will observe children, evaluate individual differences, and analyze characteristics of development at various stages. DESCRIPTION: The student becomes aware of various types of educational programs available to children ages 0-8 years of age. The student will be exposed to career opportunities, the role and responsibilities of a teacher and age appropriate curriculum in Early Childhood programs. The student will study the field from historical and cultural perspectives. The student will study the curriculum components and teaching modalities that are critical in an early learning program. DESCRIPTION: This course is an introduction to the laws, regulations, standards, policies and procedures and early childhood curriculum related to child health safety and nutrition. The key components that ensure physical health, mental health and safety for both children and staff will be identified along with the importance of collaboration with families and health professionals. Focus on integrating the concepts into everyday planning and program development for all children. Information dealing with children with special needs and cultural values and traditions that affect and support the wellbeing of children birth to adolescence is explored. DESCRIPTION: This course is an examination of the developing child in a societal context focusing on the interrelationship of family, school and community and emphasizes historical and socio-cultural factors. The processes of socialization and identity development will be highlighted, showing the importance of respectful, reciprocal relationships that support and empower families. Emphasis is placed on familiarizing students with techniques used in parent-teacher conferences and to perceive parents as partners in their child’s educational experience. DESCRIPTION: This course includes observing, recording and interpreting children’s behavior in a variety of settings. Dairies, anecdotes and other forms of written and oral records are explored and used. This course includes observing children from the ages of 1 month through school aged children. The student will be expected to become familiar with tools such as: Desired Results and DLM for purposes of assessing the growth and development of children. The students will also become familiar with the Environmental Rating Scale for: infants and Toddlers, Early Childhood and School Aged children. This course will provide the student with information dealing with full inclusion and children with special needs as well. DESCRIPTION: This course focuses on accommodating and adapting the physical environment, instructional strategies and curriculum to meet the needs of differently-abled children and their families. Legal mandates and the impact of laws and legislation will be examined in respect to the impact on children and their families. Understanding the process of assessment and developing an Individual Family Service Plan will be analyzed and discussed. This course covers the theoretical aspects of working with children with special needs. This course will focus on children ages 0-8 to encompass school age children as well infants through pre-school age children. DESCRIPTION: Overview of programs providing special education services for children with special needs focusing on preschool through school age. It will include a study of various early/care early intervention natural environments and educational settings, legislation, characteristics of various exceptionalities and educational implications. Observation in schools will be required. This course identifies the political and social implications that affect special education, and it identifies the different categories of disabilities. The Individual Education Plan is discussed and evaluated. Students are exposed to techniques for identifying and implementing goals and objectives for children with special needs. Teaching techniques and curriculum activities are discussed, designed and implemented in the class projects. The course focuses on children ages infancy through ages 8 to encompass school age children as well. DESCRIPTION: This course is a study of the modalities and principles of supervising teachers, staff and student-teachers in an early childhood program. Emphasis is placed on the role of the director, teacher, staff and student-teacher. The course will review leadership styles, communication skills, conflict resolution techniques, as well mentoring responsibilities and techniques. This course includes reviewing and utilizing the ECERS Rating Scale in evaluating and assessing the classroom and teacher effectiveness and appropriateness. This course will discuss the NAEYC Developmentally Appropriate Practices, the Pre-K Guidelines and N.A.E.Y.C. Code of Ethics. DESCRIPTION: History of the development of motion pictures from their beginnings to the present day. DESCRIPTION: This creative writing course will introduce students to the art of writing for film, television and new media. Students will learn the basic elements of the screenplay such as structure, plot, character development and dialogue. Students will write a short scene or script based on an original idea. DESCRIPTION: An analysis of the elements that make film an art form, including visual composition, color, music, acting, editing, lighting, story and sound. This course includes regular screenings of classic and contemporary motion pictures. DESCRIPTION: This course will enable students to analyze screenplays, and learn the critical and writing skills necessary to write a professional evaluation. This script analysis or “coverage” includes a summary and “reader” recommendation which helps producers to determine what screenplays have potential to be made into movies. Students will be required to read classic screenplays, and screen the films on which they are based to understand and identify the strengths and weaknesses of source material. Student’s sample coverage may be used for their professional portfolio. DESCRIPTION: This course introduces Amazon Web Services computing related services. Students will learn the core computing technologies offered by Amazon Web Services. The computing services students will learn will follow the computing models: Infrastructure as a Service, Platform as a Service, Function as a Service or Micro-services. You will learn how to set up and manage computing services, auto scale computing services and configure computing load balancing. You will also learn how to code auto deployment scripts for the AWS infrastructure. DESCRIPTION: This course explores Amazon Web Services security at both the AWS services layer and Amazon data center infrastructure layer. This course will go over how Amazon Web Services implemented security measures in their global data center infrastructure. The course will also look at the AWS security shared responsibility model and how to use Amazon security and monitoring tool to ensure security in an AWS cloud infrastructure. The course will provide an understanding of how AWS security tools can provide hardware, service, network and user activity monitoring, key management services, server and application firewall services and an introduction to implementing private and public subnets. DESCRIPTION: Students will learn topics of the Python language such as data types, variables, control structures, Python Objects and Oriented Design, standard and advanced mathematical libraries, tool-chain use and Python Frameworks, user-defined classes and abstract collections, single and multidimensional arrays, Python lists, tuples, collections, and dictionaries. PREREQUISITE: CS 902. DESCRIPTION: This course covers the organization and behavior of real computer systems at the assembly-language level. The mapping of statements and constructs in a high-level language onto sequences of machine instructions is studied, as well as the internal representation of simple data types and structures. Numerical computation is examined, noting the various data representation errors and potential procedural errors. Students who have equivalent experience and wish to file “prerequisite challenge petition” should obtain the “Prerequisite Challenge Petition Form” here. DESCRIPTION: This course teaches the student how to use intermediate and advanced features of the Microsoft Office suite of programs to solve typical business problems. Complex documents will be formatted and printed with WORD. Students will learn how to write Excel formulas to deal with business and accounting analysis. Students will learn how to use PowerPoint to enhance their presentation skills. Concepts of relational data base management will be taught with Access. Integration of multiple applications like SharePoint will be covered. This class will prepare students to pass the Microsoft Office Users certification tests at the proficient level. DESCRIPTION: This class explains the concept of relational databases. It illustrates how the MICROSOFT ACCESS database management system may be used in common business applications such as report and screen design, database design, and computer-aided decision making. This course covers advanced ACCESS features including SQL Programming. RECOMMENDED: Computer Science 934 or equivalent experience. DESCRIPTION: This course gives students a solid foundation in the fundamentals of the Linux operating system which plays a crucial role in academic and corporate computing. The topics include Linux Overview and Architecture, The Kernel and Shell, File System, Users and Groups Management, Permission and Ownership Management, Services and Processes Management. Students gain system-level experience through problem-solving hands-on lab exercises at the command line and in the graphical user interface. DESCRIPTION: This course provides complete coverage of the key business and technology elements of electronic commerce. It introduces students to both the theory and practice of conducting business over the Internet and World Wide Web. Topics include Technology Infrastructure, Selling & Marketing on the Web, Business-to-Business Strategies, Virtual Communities & Web portals, Web Server Hardware and software, Electronic Commerce Software and Electronic Commerce Security. DESCRIPTION: Web application programming has become very popular. Web applications work on any Web browser without the complexity of installing applications. With very little effort, the programmer can design a screen that holds standard elements such as buttons, check boxes, radio buttons, text boxes, and list boxes. Each of the objectsperates as expected, producing a “standard” Web user interface. With the popularity of tablets used in personal and business use, Web application can run on all types of mobile devices that use standard web browsers. Student learns Object-Oriented and Advanced programming with C++ including Classes, Data Abstractions, Inheritance, Composition, Virtual Functions, Operators & Functions Overloading, Templates, Exception Handling, Recursion, Pointers, Dynamic Data Types, and Linked Lists. DESCRIPTION: Apple Administration provides a comprehensive curriculum covering Apple products and technologies. The course includes Apple-developed diagnostic tools to help diagnose and prevent problems on Apple hardware running Mac OS X. The course will also cover the Mac OS X operating system, OS X server installation, Apple architecture, and system components. The course will include setup, configuration, administration, customization and troubleshooting on the OS X server and Apple iPad Platforms. This will also include directory setup, account administration and device management using mobile device manager for desktops and iPads. The foundation provided with the course provides students with the information needed to implement, configure, manage and maintain computer systems, mobile devices and servers running Mac OS X and IOS operating systems. The course will also provide the background needed to become an Apple Certified Support Professional. Each student will be assigned a Mac computer for use during class. DESCRIPTION: This course provides a rich environment for illustrating multi-user and client/ server database concepts, such as managing concurrent users and sharing database resources, and allows users to develop database applications in a production environment using the database developer utilities. This course addressed database development activities including using SQL commands to create tables and insert, update, delete, and view date values. DESCRIPTION: This course provides students with a solid grounding in the fundamentals of mobile application development. Students will learn how to create applications to deploy and run on mobile devices such as iPhone or Android. The latest technology will be introduced in the class and student will learn to use the latest programming language to write software to run under iOS or Android and develop their programs. DESCRIPTION: This course teaches students to build web pages using HTML5. It will give students hands-on experience in building web pages from scratch. The topics covered include designing basic layout of the page, Creating pages with images, links, Forms, Tables, and Media elements. The advance topics such as Cascading Style sheets and publishing to the web site are also covered. Optional on-campus final exam will be available for students interested in Publisher's Certification. PREREQUISITE: CS 957 or equivalent experience. DESCRIPTION: Microsoft is revolutionizing the way Internet applications are developed. Microsoft has added new functionality to Web application development making it more user friendly. This comprehensive course will cover creating dynamic web pages; client-side and server-side controls; data binding and validation; and integration with other web development technologies. This course guides the student from beginning Web applications, to object-oriented programming, to using advanced server controls. DESCRIPTION: This course is designed to provide students with a solid foundation in computer networking technology. It covers network cables, connectors & devices, network topologies & architecture, wired and wireless networking protocols & standards, OSI model, TCP/IP, wide area networks, network security & troubleshooting and client/server operating systems survey. DESCRIPTION: This course intends to provide students hands-on experience working with the Linux operating system using popular open source software bundles – LAMP, Server Virtualization and Openstack cloud computing. This is an advanced hands-on Linux course, using Enterprise Linux(CentOS/RHEL) as base operating system, discussing Linux concepts, directories, permissions, file systems, package management, networking, host based security, shell scripting as well as Web development with LAMP (Linux, Apache, MySQL & PHP), server virtualization, virtual machine deployment with kickstart. Students will also create virtual machine image, deploy virtual machines with kickstart. This course explores installation, configuration, and management of VMware vSphere, which consists of ESXi and vCenter Server. The course is based on ESXi and vCenter Server. Additional course topics includes; ESXi networking and storage using vCenter Server, virtual machines migration, VMware infrastructure access, vCenter Server resource monitoring and scalability, and storage technologies, such as SAN, IP-SAN (iSCSI), NAS as they relate to VMware vSphere. The course utilizes hands-on lab exercises and demonstrations to reinforce virtualization concepts and theories. Completion of this course authorizes and helps students prepare for the VMware Certified Associate (VCA-DCV) and VMware Certified Professional – Data Center Virtualization (VCP-DCV) certification exams. This is the third of four courses required for the West Los Angeles College (WLAC)Virtualization and Cloud Computing certificate. 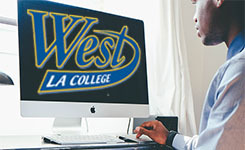 WLAC is an authorized VMware IT Academy. PLEASE NOTE: VMware Training at WLAC is only available to full or part time students, unemployed individuals, or career changers, who are paying for the training themselves. This training is not for companies or corporate entities looking to train their employees. Those individuals must go to a commercial VMware authorized training center. PREREQUISITE: CS 976. DESCRIPTION: This advanced course is a continuation of CS976 addressing VMware® vSphere 6.x Optimize and Scale topics necessary to prepare students for the second exam (#2VO-621) required to earn the VCP6-DCV certification. In addition, virtual desktop infrastructure topics and concepts related to installing, configuring, and managing VMware® Horizon View™ 5.x suite of products: VMware® View Manager™, VMware® View Composer™, and VMware® ThinApp® are covered. This course utilizes hands-on lab exercises and demonstrations to reinforce concepts and theories. This is the fourth of four courses required for the West Los Angeles College Virtualization and Cloud Computing certificate. WLAC is an authorized VMware IT Academy. PLEASE NOTE: VMware Training at WLAC is only available to full or part time students, unemployed individuals, or career changers, who are paying for the training themselves. This training is not for companies or corporate entities looking to train their employees. Those individuals must go to a commercial VMware authorized training center. PREREQUISITE: CO SCI 965 (or equivalent experience). DESCRIPTION: This course provides students with a solid grounding in the fundamentals of computer security. Students will learn a full range of security concepts and techniques and how to apply them to the most popular operating systems and application used today. Topics include network vulnerabilities, access control, cryptography & public key infrastructure, security policy & management, network & communication security. Lab simulation involves security settings on client & server operating systems. RECOMMENDED: CS934 and CS965 (or equivalent experience or MTA 98-365 certification). DESCRIPTION: This is the first of three courses collectively cover implementing, managing, maintaining and provisioning services and infrastructure in a Windows Server 2012 environment. Although there is some cross-over of skills and tasks across these courses; CS982, CS983, and CS984, this course primarily covers the initial implementation and configuration of core services, such as Networking, Storage, Active Directory Domain Services (ADDS), Group Policy, File and Print services, and Hyper-V. This course maps directly to and is the preferred choice for hands-on preparation for Microsoft Certified Solutions Associate (MCSA) Exam 410: Installing and Configuring Windows Server 2012, which is the first of three exams required for MCSA: Windows Server 2012 certification. RECOMMENDED: CS 982 and CS 983 (or equivalent experience). DESCRIPTION: This is the third and final course collectively cover implementing, managing, maintaining and provisioning services and infrastructure in a Windows Server 2012 environment. Although there is some cross-over of skills and tasks across these courses; CS982, CS983, and CS984, this course primarily covers advanced configuration of services necessary to deploy, manage and maintain a Windows Server 2012 infrastructure, such as advanced networking services, Active Directory Domain Services (AD DS), Active Directory Rights Management Services (AD RMS), Active Directory Federation Services (AD FS), Network Load Balancing, Failover Clustering, business continuity and disaster recovery services as well as access and information provisioning and protection technologies such as Dynamic Access Control (DAC), and Web Application Proxy integration with ADFS and Workplace Join. This course maps directly to and is the preferred choice for hands-on preparation for Microsoft Certified Solutions Associate (MCSA): Exam 412: Configuring Advanced Windows Server 2012 Services, which is the third of three exams required for MCSA: Windows Server 2012 certification. ADVISORIES: COMPUTER SCIENCE-INFORMATION TECHNOLOGY	965 " COMPUTER SCIENCE-INFORMATION TECHNOLOGY	980 DESCRIPTION: This course covers installing, configuring and managing next generation firewalls from Palo Alto Networks as well as security, threats, networking, logging and reporting. This course begins at an introductory level and builds to an intermediate level. Aspects of configuration include security, networking threat prevention, logging, reporting of the Palo Alto Netowrk Operating System (PANOS). Higher level concepts include Global Protect, an extension of the corporate firewalls rules to laptops outside the network, Active/Active High Availability and control over user applications and content. Security engineers, network engineers, and support staff are the targeted audience for this course. PREREQUISITE: CO SCI 939 or equivalent experience. DESCRIPTION: This course is designed to take the students through the various phases of Java Programming from Applications and Applets to Database Programming using JDBC. The course will cover JAVA Foundation Classes (JFC), detailed exposure to 'UTIL' and to 'lang' packages of JAVA. The course also covers Object-Oriented Programming Analysis and Design/Development using inheritance and polymorphisms. DESCRIPTION: Students will learn to recognize the importance of the First Amendment, define the process of sending and delivering messages, scrutinize feedback, analyze audiences; and, in addition, research, organize and prepare speeches that are focused, detailed, and cite attribution, utilizing outlines for delivery. Attention will be paid to relaxation exercises, eye contact, body language, podium presence, the pause, articulation, and voice projection and pacing. The role of the listener will be examined as will self-evaluation. Informative, persuasive, and argumentative speeches will be taught. NOTE: UC credit limits: 1 course from 104, 121, 151. DESCRIPTION: This course focuses on the skills necessary for effective communication in small group discussions. Topics covered include creative decision making, conflict management, anger management, leadership, group think, problem solving and the nature of power. DESCRIPTION: This course deals with the philosophy and history of law corrections. Topics will include the police, courts, corrections, and an overview of the corrections system and their interrelationships, crime theories, criminal law, constitutional law, and career opportunities. DESCRIPTION: This course will provide students with strategies for a successful first year experience. Emphasis will be placed on WLAC policies & student support services, study skills, time management, test taking strategies, note-taking skills, stress management, and making informed decisions. This course is highly recommended for new and returning students. DESCRIPTION: This course is an introduction to career planning and is designed for students who are contemplating a job change or who are undecided about their career or vocational choices. The focus is on a comprehensive career and personal evaluation, the development of an appropriate educational plan, and the ability to develop a personal career strategy. DESCRIPTION: This course provides students with the information to make appropriate educational, career and lifestyle choices. Topics examined include educational programs and their requirements, career resources and the career decision-making process, career planning, personal assessment, steps for success, values clarification, exploring personality and interests, skills assessment, the world of work, career options, making decisions, job search, preparing a winning resume, interviewing skills, and strategies for managing your career. Students will design their own educational plan. DESCRIPTION: This course provides a historical perspective of dance from ritual to contemporary theatrical dance forms. It focuses on the ethnic, cultural and ritual forms of dance as it affected and reflected the world in which people lived. This course will focus on how dance reflects the historical, social and political climate of the day. The class will consider the impact of dance on the western world and how it has been affected by the different dance traditions world-wide. DESCRIPTION: This course integrates the concepts of organic chemistry and bio-chemistry. The student will apply the nutritional principles of the human body to execute the dental hygienist’s role as a nutritional educator. Topics include molecular structure, carbohydrates, proteins, nutrition and digestion, bio- energetic, nutritional aspects, nutritional disorders and dietary assessment. DESCRIPTION: This advanced course will include research on contemporary issues in the field of dental hygiene, and implementation of a capstone project in poster presentation or online or journal publication. The completion of the capstone project includes evidence based literature, project planning, implementation, and evaluation in project outcome, with an analysis and written literature review. Scientific communication methods with an emphasis on poster presentation techniques. Contemporary issues in dental hygiene, including healthcare reform and access to care, will be discussed. Practice management techniques will be examined. The course is intended for Dental Hygiene students admitted to the Bachelor's completion program. This is an upper division course, under the pilot program (SB 850), allowing the granting of a Baccalaureate Degree in the community college setting. DESCRIPTION: This course is designed to enable students to enhance and develop knowledge applicable in the treatment of patients with advanced periodontal disease. Concepts of implantology, grafts, surgical, and non-surgical periodontal therapy modalities are emphasized. DESCRIPTION: Students study ethical theories and issues related to the practice of dental hygiene and professionalism. A personal philosophy of professional conduct, continuous quality assurance and self-assessment is explored. Fundamental factors necessary to practice within existing regulatory frameworks are stressed. 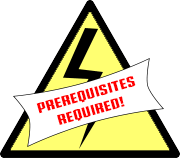 PREREQUISITE: Completion of E.S.L 005A or appropriate placement level demonstrated through the English assessment process. DESCRIPTION: Students in this advanced ESL course learn written composition, grammar, and critical reading skills to prepare them for college work. The emphasis is on writing based primarily on critical reading and interpretation/analysis. Students will be introduced to appropriate citation and basic bibliographic conventions in their writing. Advanced grammar skills and mechanics are emphasized throughout each lesson. Required: Eight to ten writing assignments, including at least four essays of 400-600 words. Prerequisite: Completion of ESL 5A with a grade of ‘C' or better, or appropriate ESL placement level demonstrated through the assessment process or placement into English 21. PREREQUISITE: Completion of E.S.L. 006A or appropriate placement level demonstrated through the English assessment process. DESCRIPTION: ESL 8 gives students practice in essay writing, with an emphasis on critical thinking and critical reading. Advanced grammatical skills are integrated, and students learn the foundations of MLA-style research papers. DESCRIPTION: Earth Science 1 presents basic principles from Geology, Geography, Oceanography, Meteorology, and Astronomy to explain the processes, materials, and natural resources related to our planet Earth. PREREQUISITE: Mathematics 115 or higher. DESCRIPTION: Note: Microeconomics. Students may take Economics 1 or 2 as the first course. This course is an introduction to the field of microeconomics, which focuses on the behavior of individual economic agents including consumers, business firms, and the government. Topics include supply and demand, elasticity, forms of business organizations, theory of production and cost, pricing and output decision in various market structures, market failure and the role of government, labor management relations, and international trade. PREREQUISITE: Mathematics 115 or higher. DESCRIPTION: Note: Macroeconomics. Students may take Economics 1 or 2 as the first course. This is an introductory course in the principles of macroeconomics. Topics include: the determination of output, business fluctuations, unemployment, interest rates, inflation, monetary and fiscal policies, public debt and international economic issues such as the role of the exchange rate and the balance of trade. DESCRIPTION: This course explores the international flow of goods, services, labor and capital. Topics include the history of globalization, the consequences of international trade, the migration of labor, global financial flows, the implications of globalization for growth and poverty, the environment, governance, and international institutions (e.g., the World Bank, the North American Free Trade Agreement, the International Monetary Fund, and the World Trade Organization). DESCRIPTION: This course introduces students to the field of professional education and the concepts and issues that are related to K - 12 education. Topics of this course include a basic understanding of a teacher's role and challenges in society, contemporary education issues within historical, social, philosophical, legal, and political contexts, impact of government policies on schools and children, and the various perspectives on curriculum and instruction. This course requires a minimum of 45 hours of observation/participation in a public multicultural school. PREREQUISITE: Taking the English Assessment Test for appropriate placement. DESCRIPTION: English 21 is a reading and writing course that gives students practice in developing clear compositions as they respond to a variety of reading materials. DESCRIPTION: English 28 gives students practice in paragraph construction and essay writing, with an emphasis on critical thinking and critical reading of non-fiction essays and books. ADVISORY: Eligibility for English 21. DESCRIPTION: An intensive review of grammar and sentence structure for students who want extra help before taking English 28 or 101. DESCRIPTION: This is a college-level freshman composition course which focuses on expository writing and argumentation and requires the writing of a minimum of 6000 words in essays and a research paper. Students study a variety of texts written at the college level, including literature, that reflect current academic concerns relating to issues of language, ethnicity, class, gender, identity, psychology, and cultural studies. The course is intended for students who plan to transfer to a fouryear college or university. PREREQUISITE: English 101 with a grade of ‘C’ or better. DESCRIPTION: English 102 focuses on developing student appreciation of a variety of literary genres from diverse writers in different eras. Students learn how to identify standard elements of story in texts and to use appropriate literary terminology to interpret texts and defend their textual interpretations. PREREQUISITE: English 101 with a grade of ‘C’ or better. DESCRIPTION: This course, which meets the transfer critical thinking requirement, is designed to develop transfer-ready critical thinking, reading, and writing skills beyond the level achieved in English 101. Based on college-level readings, the course will focus on the development of logical reasoning and analytical and argumentative writing skills with a minimum of 10000 words of student writing submitted over the semester. PREREQUISITE: English	101. DESCRIPTION: This course is an introduction to writing poetry, creative non-fiction, and fiction. Students learn different ways to employ the elements of story in their own original literary works by discussing the works of respected writers. Assignments consist of practicing writing in various genres, peer reviews, writing logs, screen writing and journals. PREREQUISITE: English	101. DESCRIPTION: English 239 provides both a global and historical survey of groundbreaking oral and written literature primarily by and, to a lesser extent, about women, from antiquity to the present. Students are required to write critical essays and a research paper that explore the major themes in women’s literature, as well as the various archetypes, images, roles, and statuses of women. The following topics are among those examined in the course: Female Legends, Cross-Culturally; The Heritage of Female Poetic Representation; the Antecedents of Modern Feminisms/Feminist Thought; The Female Novelist; Writing the Body and the Body Politic; Sexuality and Power; Social Constructions of Class, Gender, and Race; Enslavement, Resistance, and Transformation; Love and Family Relations; The Beauty, Mystery, and Power of Nature; Spiritual/Religious Beliefs and Customs, Cross-Culturally. DESCRIPTION: This course is designed to cover the markets in which funds are traded, the financial institutions that participate in and aid the flow of funds, and the principles of financial management that guide the participants in making sound decisions. DESCRIPTION: This course covers an analysis of stocks, bonds, mutual funds, real estate trusts, commodities and related investments. Particular attention is given to the concepts and skills needed to make sound financial decisions, to understand financial statements, interest rates, bond and stock markets, as well as acquiring, managing and budgeting capital and making financial forecasts.. DESCRIPTION: Students receive and apply the principles of accounting, banking, finance, office methods, management and production, to one's personal affairs. Family budgeting, consumer credit, home ownership, life and property insurance, investment and savings plans, social security and retirement plans. DESCRIPTION: The history, philosophy, organization and operation of a fire prevention bureau are examined. Additional topics include inspections, pre-fire public relations, fire investigation, public and employee liability, and court procedure. The relationship of fire prevention to fire safety education and detection and suppression system are discussed. DESCRIPTION: This course covers the theory and fundamentals of how and why fires start, spread and are controlled; Included in this class is an in-depth study of fire chemistry, physics and the fire characteristics of materials; extinguishing agents and a variety of fire control techniques. DESCRIPTION: Earth-sun relationships, maps, geographic technology, the atmosphere, hydrosphere, biosphere, lithosphere, and the spatial distribution of weather, climate, water features, biomes, physical landforms, and plate tectonics are emphasized. Geography 1 and Geography 15 taken together fulfill the laboratory general education requirement for transfer. DESCRIPTION: This course covers the use of maps, weather measurement and the study of soils, vegetation and landforms are emphasized. Physical Science Laboratory credit. DESCRIPTION: Physical Geology provides an introduction to the materials, structures, and processes that shape the Earth. The course includes a survey of minerals & rocks, a study of plate tectonics, the forces & processes that create volcanoes & earthquakes, how ages of fossils, minerals, and rocks are determined; the work of running and groundwater; basic concepts behind the formation of petroleum, coal & other mineral deposits, and the environmental impact of energy and mineral resources. NOTE: History 1 is not a prerequisite for History 2. DESCRIPTION: This course surveys Western Civilization from the Renaissance to the present. Major topics include the political, economic, and social organization of Europe, with particular emphasis upon the rise of the nation state and industrialization. The global influence of Europe, Africa, Asia and the countries of the Western Hemisphere in the twentieth and twenty-first centuries will also be examined. DESCRIPTION: This course surveys the major socio-cultural, political and economic evolution of the United States from its pre-Columbian origins through the Civil War and Reconstruction. Special attention is put upon the development of the Constitution as well as America's central political structure and institutions. NOTE: History 11 is not a prerequisite for History 12. DESCRIPTION: This course presents the major socio-cultural, political and economic developments during the course of the history of the United States, from the Reconstruction period through the present day. DESCRIPTION: An introductory survey of the modern Middle East emphasizing Islamic culture and its political and socio-cultural development. The course deals with the life and teachings of Mohammad, development of the Islamic world, and the relationship between the Islamic world and the rest. DESCRIPTION: This is a survey of United States history from the early Colonial era to the Reconstruction Period, with special emphasis on the contribution of the African American to the political, economic and social development of the nation. This course also surveys the U.S. Constitution and California State and local government. DESCRIPTION: This course is a survey of the history of the Mexican people in the United States from l848 to the present time. The content includes a discussion of the United States War with Mexico, the Treaty of Guadalupe-Hidalgo and the subsequent incorporation of Mexicans into the United States. Emphasis is placed on the politics of race, its origin in the colonial process and its impact on the historical development of a Mexican American ethnic identity in the United States. History 86 is an introductory survey of world civilization up to the 16th century including a comparative study of the social, economic, political, intellectual and religious institutions of Africa, the Americas, Asia and Europe. The course will also examine traditions as well as changes brought by encounters between societies and their interactions with one another. DESCRIPTION: Interactions of world civilizations from the early modern era (ca. 1500 C.E.) to the present. A comparative analysis of cultural, economic, geographic, political, religious, and social forces of world civilizations. Includes topics related to Asia, the Americas, Africa, and Europe. PREREQUISITE: Completion of English 28 and Mathematics 115 with a grade of 'C' or better or appropriate placement level demonstrated through the assessment process. DESCRIPTION: In this course students learn the different types of health insurance and billing procedures including procedure codes, international classification of diseases and clinical modifications. DESCRIPTION: This course will give you a practical overview of the front office operations in the hotel industry, including such topics as front desk, reservations, customer service, night audits, and human resources, as well as information on career opportunities, both full-time and part-time. DESCRIPTION: This course will teach you how to use the tools and techniques of selling in the hospitality industry, including prospecting for new business, openings, presenting the product, overcoming objections, closing the deal, and follow-up. DESCRIPTION: Today’s dynamic and competitive hospitality industry is seeking people who have the latest marketing skills. This course provides a solid background in hospitality marketing and advertising. The students will learn how to produce effective marketing plans as well as sales and marketing materials. They will learn to target the most appropriate customer markets to increase sales and they will learn to recognize the most effective marketing strategies for the hospitality industry. Among the other topics covered are research and analysis, product development, public relations, promotion, publicity, marketing to the travel trade, pricing, and communications. DESCRIPTION: This course will prepare you for dealing with hospitality industry guests and the guest experience in general. The topics covered include meeting guest expectations, service training, and communications, delivering the service, fixing service problems, and achieving service excellence. DESCRIPTION: In this course, you will learn about the growing use of computers and technology in the hospitality industry and the techniques used in e-commerce and information services. There are many exciting opportunities in this growing field and this course will help give you a competitive edge when making a career choice. DESCRIPTION: Learn how to search, where and what to search, how to evaluate information found, and how to format bibliographies and references according to selected bibliographic style. If you have any research papers, this is the course to take. DESCRIPTION: Explore the World Wide Web. Learn to utilize general search engines and directories to locate the millions of home pages on the Internet. Obtain precise information with well-developed search strategies. Learn to apply critical standards to the sites you find on the Web. MLA citation style will also be discussed. DESCRIPTION: This course involves creating effective selling presentations and persuasive communication for customer relationships. Emphasis will be on the foundations of professional selling, developing, and enhancing customer relationships. Additional topics include sales ethics, understanding buyers, effective communication, and planning marketing dialogue. DESCRIPTION: This course provides an intensive study of concepts and strategies on which the field of marketing is based. Emphasis will be on product, distribution, promotion and pricing decisions. Additional topics are sales forecasting, domestic and international markets, personal selling, marketing legislation and the environmental factors impact marketing. DESCRIPTION: This course provides practical and valid information about solutions to managerial problems through research findings, theory and current successful practices. Detailed analysis of basic managerial functions including planning, organizing/staffing, leading and controlling is made. Emphasis is placed on technical, interpersonal, conceptual, diagnostic and political managerial skills needed to succeed as a manager in a domestic or global business environment. DESCRIPTION: Covers how to maintain good relations with the groups of people an organization has contact with on a daily basis. Topics includes the essentials for organizing and operating a public relations program, the study of relations with the community, customers, stockholders, news media, the government and employees. Multicultural relations and PR writing are also covered. DESCRIPTION: A course for non-music majors; introduction to the rudiments of musical notation, scales, keys, intervals, common musical terms with an introduction to chord structure. DESCRIPTION: This course presents a survey of musical practices and styles from the earliest times to 1750, including the Romanesque, Gothic, Renaissance and Baroque Periods. DESCRIPTION: Oceanography (Ocean 1) is intended to provide students with a comprehensive picture of the world ocean with a multi-disciplinary approach that involves the ocean’s chemistry, physics, geology, meteorology, and biology. The course includes the following major topics: origins and history of oceanography, Earth structure, plate tectonics, ocean basins and sediments, water, circulation of the ocean and the atmospheric, waves, tides, coasts, marine life, pelagic and benthic communities, marine resources, and the use and abuse of the ocean. DESCRIPTION: This course covers the principles, history, and sources of contract law; elements of a valid, enforceable contract; and contract drafting. Topics include Article 2 of the Uniform Commercial Code regarding the sale of goods, and the role of the paralegal in contract law. DESCRIPTION: This course introduces students to the general principles of corporate and business law with specific focus on the sole proprietorship, general partnership, limited liability company (LLC), limited liability partnership (LLP), and corporations. It will address the organizational structure of (and differentiating characteristics), and the manner in which business organizations are created, operated, maintained, dissolved and other relevant legal issues. Emphasis on the paralegal’s role in collecting data, drafting documents, maintaining minutes, records and much more. DESCRIPTION: This course introduces philosophical ideas and methods concerning knowledge, reality and values. Expected topics will include the sources and limits of knowledge, and the nature of reality. Other topics that may be examined from a philosophical perspective include the nature of the self, truth, ethics, religion, science, language, beauty and art, political theory, or mind. DESCRIPTION: This course is designed to foster critical thinking skills, without exclusively appealing to the traditional techniques of formal logic. A number of general issues connected with rational criticism of arguments are explored. These include a discussion of the special features associated with critical thinking in different fields of argumentation and a discussion of fallacies as non-formal failures in the process of reasoning. DESCRIPTION: This course introduces some principles of valid reasoning with emphasis on deductive logic. The course must include a study of formal techniques of sentential logic. The course may also include a treatment of inductive reasoning, language, or fallacies. DESCRIPTION: This course addresses ancient philosophy with emphasis on the development of Greek philosophy from the Pre-Socratics through Aristotle and may also include Hellenistic, Roman, medieval or non-western thinkers. DESCRIPTION: This course introduces classical theories of ethics including morality and values, utilitarianism, deontological theories, and virtue theory. Issues of meta-ethics including relativism, are explored in the context of contemporary moral problems, including ethical issues surrounding our moral obligations to wilderness areas and other species. DESCRIPTION: This course deals with the principles, problems, structures, and functions of United States and California Governments. The topics covered will be Political Concepts; Ideology and Government; The Constitution; Federalism; Congress; The Presidency; The Judiciary; Civil Rights and Civil Liberties; The Media; Elections; Political Parties; Interest Groups; California Government; California and the Nation; The California Constitution; The State Legislature; The State's Plural Executive; The State Judiciary. DESCRIPTION: Comparative analysis of different kinds of political systems, including their history, political institutions, processes and policies, the environments in which they occur, and their consequences. DESCRIPTION: This course presents an overview of the major fields of psychology, including research methods, learning and conditioning, biopsychology, memory, intelligence, health psychology, motivation and emotion, perception, human development, social psychology, personality, psychotherapy, and abnormal psychology. The history of modern psychology and its roots in philosophy is presented. Particular attention is given to the application of psychological concepts to the problems people find living in contemporary society. PREREQUISITE: Psychology 1. DESCRIPTION: This course examines behavior from a biological, physiological approach. A detailed examination of the anatomy and physiology of the neuron and brain is provided, including the central, peripheral and autonomic nervous systems. Sensory systems are presented, including vision, audition and somato-sensory. A biopsychological perspective is taken to study motivation, emotion, language, sleep, consciousness, sexual behavior, and mental illness. DESCRIPTION: This course studies individual behavior as it affects others and as it is affected by others. The topics include: Aggression, Attitudes, Discrimination and Prejudice, Conformity, Compliance, and Obedience, Group Behavior, Interpersonal Relationships, Persuasion, Prosocial Behavior, “The Self,” and Social Cognition. DESCRIPTION: This course presents the psychological development of the person from the prenatal period through old age and death. Each of the eleven stages is presented. Emphasis is placed on theories and their application to the behavioral, cognitive, social, and biological aspects of human development. Psychosocial and lifespan approaches are employed to illustrate the interconnectedness of life. DESCRIPTION: This course is required for those students seeking a real estate salesperson’s license and is an elective course for a real estate Broker’s license. Completion of a Real Estate Principles course is required to take a California Department of Real Estate salesperson examination and is an elective course for the broker’s examination. This course is designed for the student seeking a career in real estate or transferring to a 4-year university. This is an introductory course that will cover several aspects of the field of real estate. Topics will include the real estate exam, how to get started in your career, land ownership and use of real property, zoning laws, real estate contracts, finance, appraisal, escrow and title, landlord tenant relationships and real property tax laws. DESCRIPTION: Topics presented in this course include management, leadership, communications, staffing, real estate market analysis, finance, and other topics pertinent to the successful operation of a real estate office. DESCRIPTION: This course is an elective course for a real estate Broker’s license. This course covers in detail the principals of property ownership and management, with special emphasis on the law as it applies to community property, conveyances, deeds, trust deeds, leases, brokerage activities, liens, homesteads, wills, estates and taxes. DESCRIPTION: Forms and sources of financing property, construction and permanent financing are studied. The procedures for FHA, Cal-Vet and VA financing, mortgage capital from savings banks, commercial banks, insurance companies and other sources, junior mortgages, appraising for mortgages, loan ratios and leaseholds are also covered. Real Estate financing is studied as well as the secondary mortgage market. DESCRIPTION: This course emphasizes the theory, principles and methods used in the valuation of various types of properties. Cost, market and income approaches are examined in great detail. Land and building residual techniques are also presented. An appraisal report on a single-family residence is usually required. DESCRIPTION: This advanced appraisal course features a brief review of the theory, principles and methods used in the valuation of residential, commercial and industrial properties. It also features case study problems illustrating the use of the three approaches to value and a thorough analysis of the components utilized by the income approach. This course emphasizes the valuation of all income-producing properties. An appraisal report on an income-producing property is required. DESCRIPTION: This course is designed for real estate brokers, salespeople and owners of income-producing properties. Topics covered include the nature and types of property management, organization for management, leases and contracts, rent scheduling, selling of space and techniques of renting, tenant selection and supervision, relations with owners, budgets, purchasing accounts, reports, ethics and legal and professional relationships. DESCRIPTION: This course covers the fundamentals of economic trends and factors which affect the real estate market. Topics covered include: urban structural relationships, real estate market analysis, problems of subdividing, and the governmental relationship to real estate development. NOTE: This course is required for the California Broker's license; elective for a real estate salesperson's license. DESCRIPTION: Required course for the Appraiser Trainee License. You will learn how to prepare an appraisal form report for a single-family residential property using the 1004 MC form. Also, case studies will be presented that deal with more complex appraisal problems. DESCRIPTION: This introductory course teaches beginning language acquisition in a cultural context through listening, speaking, reading and writing. The students will interact with authentic language in cultural context. PREREQUISITE: Spanish 001 with a grade of “C” or better or two years of high school Spanish. DESCRIPTION: This course continues stressing basic vocabulary and fundamental sentence structure in the past, future indicative tenses, and the subjunctive mood. It continues with the development of reading comprehension and writing skills and students’ further study of Spanish culture. Instructors will assign 16-18 hours of lab assignments as part of this class. Students taking this class on-campus will complete 16-18 hours of lab work for these courses in the first floor of the HLRC Building. Students taking this class online will complete 16-18 hours of lab work online. DESCRIPTION: This course focuses on the relationship of theatre to various cultures throughout history, and on the contributions of significant individual artists. This course introduces students to elements of the production process including playwriting, acting, directing, design, and criticism. Students will also survey different periods, styles and genres of theatre through play reading, discussion, films and viewing and critiquing live theatre, including required attendance of theatre productions. DESCRIPTION: The study of the history of theatre from the Origins of Theatre through the 17th Century. The history and development of theatre and drama are studied in relationship to cultural, political and social conditions of the time. Plays are read for analysis of structure, plot, character and historical relevance. DESCRIPTION: Students will be offered a survey of scenery, lighting, sound, costumes, makeup, properties, theatrical equipment and construction techniques through demonstration, and laboratory experience. Information is applicable to all formal theatrical applications. DESCRIPTION: This course gives students a practical overview of the travel industry and its various components, including such sectors as cruising, tours, travel agencies, air transportation, rail travel, rental cars and lodging. Students will become familiar with terminology and concepts of researching a destination and planning a basic itinerary. DESCRIPTION: This course is intended to help students achieve course objectives in the course for which tutoring is recommended. It also helps students to improve learning and study skills through tutoring outside of class time. No-cost academic help in a variety of subjects. Students work one-on-one or in small groups with tutor-coaches. Students must be enrolled in this course to receive tutoring services.